It has come to our attention that a full pasuk was printed on page 105 of the summer 2018 issue, rendering that page shaimos (genizah). Please consider this page as shaimos and treat accordingly. In the start-up world, failure is hip. Entrepreneurs routinely blog about their failed ventures and the growth that resulted from them. There is even a new term for the career success that often follows failure—“failing upwards.” At the same time, educators have noticed that “failure deprivation” robs young people of their ability to persevere and to cope with the inevitable vicissitudes of life. Failure, it would seem, could be a good thing. So how should one respond when he or she fails, whether professionally or personally? In the pages ahead, prominent rabbis and educators describe how failure can be viewed as a blessing, and how it can help make us stronger, more resilient, better people. Tripping up, or a misstep, is a minor bump on the road, which requires one to refocus to get back on secure ground and move forward; failure is getting stuck in a hole with no way out. Because failure has a sense of permanence and self-definition, it creates “learned helplessness,” an idea developed by American psychologist and founder of positive psychology Dr. Martin Seligman. Learned helplessness is when a person no longer puts in effort because there seems to be no purpose. Since the effort put forward will have no results, why try? On the other hand, viewing one’s actions as a mistake or misstep allows for action and forward movement. Our internal self-dialogue and thought processes affect our every approach and reaction. The Torah view of hatzlachah is that we put in our best effort to do what we are expected to do. How things turn out is Hashem’s domain. Reframing our thoughts to change our behavior is the theory behind cognitive behavioral therapy. Feeling empowered to change assures us that we don’t get stuck in the rut of failure. The Sefer HaChinuch, in his description of the mitzvah of atonement, suggests that verbal acknowledgement is at the heart of confession (vidui) (Mitzvah 364). Acknowledgement—aloud—is the message to the self that our essence is good; we are not failures. When we declare to ourselves, “I can change, I’m not a failure,” change becomes possible. Rebbetzin Dr. Adina Shmidman is the founding director of the OU’s The Women’s Initiative. A dynamic community leader and teacher for over twenty years, she also serves as rebbetzin of the Lower Merion Synagogue of Bala Cynwyd, Pennsylvania, and is the founding chair of the Rebbetzin Elaine Wolf a”h Rebbetzin-to-Rebbetzin Mentoring Program, sponsored by the OU and YU. Rebbetzin Shmidman lives in Bala Cynwyd with her husband, Rabbi Avraham Shmidman, and four sons. I will never forget my moment of greatest embarrassment. My elementary school graduation ceremony featured a play. As a reward for academic achievement, I was granted the leading role. My excitement knew no bounds. I was to play Moses. There could be no greater honor. I practiced my part faithfully. I memorized it perfectly and in rehearsal I performed it flawlessly. Can you imagine what it was like for me when I froze in front of the entire audience? I was a stranger to the spotlight and I began to stutter and stumble. I felt sick at my failure and couldn’t wait for the performance to be over. How would I ever again face my family and friends whom I had so deeply disappointed? S. I. Hayakawa, the distinguished former US senator from California and a specialist in semantics, alerted us to an all-important distinction between two English words that most of us assume are identical: “Notice the difference between what happens when a man says to himself, ‘I have failed three times,’ and what happens when he says, ‘I am a failure.’” To think of yourself as a failure is to create a perpetual self-image as a loser. If I can summarize what he said, it is this: Failure only becomes a serious problem when we confuse it with our self-identity. If we learn from our mistakes, there is no such thing as failure. In Jewish terms, it is couched in the word we use for the person to be most revered and respected: the talmid chacham. Not simply a chacham, a wise person, but a student of wisdom, someone who continues to learn from his studies and his experiences. In that sense, it is your failures which serve as keys to your success. If your failure inspires you to surpass yourself and do it better next time, if you understand that failure never fully defines you but is meant to motivate you to greatness—then you are an alumnus of the best school in the world, and your failure was the tuition you paid for your eventual success. Ironically it was Moses, the real Moses—whose role I merely took on in the play—who at first tried to avoid accepting the mission God placed upon him as leader of the Jewish people by pleading, “I am not a man of words.” Yet, despite his speech disability, Moses is the one who remains to this day revered as the greatest spokesman for the Almighty. 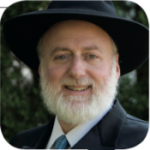 Rabbi Benjamin Blech is an internationally recognized educator, religious leader, author and lecturer. 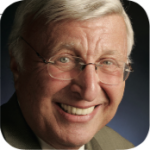 The rabbi emeritus of Young Israel of Oceanside, Rabbi Blech is a professor of Talmud at Yeshiva University. Last year, I gave a difficult Chumash test to my fourth-grade class. I reminded the boys that the purpose of a test is to see how well the rebbe has taught the material. Upon marking the papers, I was thrilled that practically every boy scored well. Zevi* however, got a 58, which was by far the lowest mark in the class. It is such an interesting word—fail. I explained to him that during a sporting event, if a player misses a shot it’s called a “miss.” However, when a child doesn’t do well on a test, we say he “failed.” Why is that? Perhaps it’s because when a player misses a shot, the team can still win, and the player can even redeem himself. However, grades appear to be final. As I handed the test back to Zevi, I quietly told him to correct his mistakes for homework. He came in the next morning with a perfect paper and told me, “It was a great start, but an even better finish!” to which I responded, “You didn’t fail after all. It was just a missed shot.” He walked away grinning from ear to ear. It’s not only children who are afraid of failure. One father confided in me that he feels like he failed as a parent since his oldest child is not as religious as he would like. In the Torah, the first father was Adam. One of his children killed the other. Avraham had Yishmael. Yitzchak had Eisav. Yaakov’s children ganged up against their brother, threw him into a pit, and then sold him into slavery. If that’s not enough, how about Moshe Rabbeinu? He was our holiest leader, but his sons didn’t succeed their father; Yehoshua did. Can we do better in allowing our children to fail? Can we teach and model better coping skills? Did these Torah personalities consider themselves failures? Certainly not! They put in their hishtadlut, their effort, and trusted in Hashem to help them. To our forefathers, every mistake was a lesson learned. I like to quote the former principal of the Yeshiva of South Shore on Long Island, Rabbi Chanina Herzberg, zt”l, about this subject. When I started teaching, he told me, “A good rebbe makes mistakes every day. A great rebbe makes new mistakes every day.” There’s nothing wrong with making a mistake, unless you keep making the same mistake over and over. That’s when it becomes a failure. You took a mistake and turned it into a learning experience. Missing a shot in a game is okay. You can still win. Doing poorly on a test is also okay. Study harder and you’ll do better next time. Just remember, as long as you learn from your mistakes, you didn’t fail. 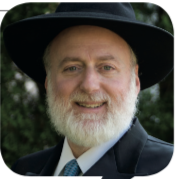 Rabbi Yitzie Ross, a grade-school rebbe on Long Island for over twenty years, writes a popular weekly parenting blog that has thousands of subscribers. He also gives parenting and social-media awareness classes and seminars throughout the US. No one succeeds in business without failure. It’s impossible. The greatest business successes are products of failures and setbacks. It’s the only way those in business can learn and the only way they can recalibrate. If dealt with correctly, failure drives people toward, not away from, success. One of the reasons some people in business don’t make it is that they don’t take ownership of their failures. After a slump, they’ve got to sit down and have a post-mortem. They can’t be blindsided by setbacks. This requires a certain honesty and forthrightness in those involved in the venture, so that when something goes wrong they can acknowledge any errors and promptly correct them. It is also helpful to write down five things that went wrong and five improvements that can be made for the next go-round. Rabbi Zisha Novoseller is the CEO of EPI Networking, an organization that helps individuals return to the workforce as employees or entrepreneurs. 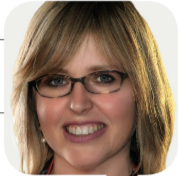 Bayla Sheva Brenner is an award-winning freelance writer and a regular contributor to Jewish Action. One of the primary goals in studying the stories of Tanach is to learn from the characters we meet in order to refine our own character. The great Biblical leaders serve as role models to us all. A debate has raged through the ages. Are these personalities role models of perfection in their middot and life choices, or are they role models of imperfection—people whom we can relate to by learning from their mistakes? A quick comparison of the lives of the first two kings of Israel gives us an interesting insight into perfection, failure and what leads to success. When Shmuel HaNavi is looking to anoint the first king of Israel, he is introduced to Shaul, who is described as “head and shoulders above the rest,” a person with stellar middot and free of sin, like an innocent baby. Shaul is king for just two years. He has difficulty facing the pressures of the job, yields to the will of the people and struggles to adhere to the directives of Hashem and Shmuel. Shaul’s pristine upbringing prior to being anointed king did not prepare him well for the trials of leadership. He was fragile and inexperienced at handling the challenges and responsibilities of his position. When Shmuel comes to anoint David as the next king, the latter is nowhere to be found. He is relegated to the back fields, and he is not even present to greet Shmuel, the great well-known leader of the generation. David did not have the respect of his own family; according to the Midrash, he was an outcast and a failure in the eyes of his own family. Rabbi Shimson Raphael Hirsch teaches us that David was describing this time in his own life when he wrote the words, “Even ma’asu habonim, haytah l’rosh pinah—the stone the builders rejected has become the main cornerstone” (Tehillim 118:22). David himself is the stone that was discarded, only to become the crowning cornerstone of the magnificent edifice of Klal Yisrael. David becomes a longtime king. His leadership is marked by failure, dips and valleys in his personal and religious life. Yet it is David who leaves a legacy, through Sefer Tehillim, of how to relate to Hashem at all times, while establishing the first successful monarchy in Israel. He is a model of resilience and an example of someone whose low points in life became the catalyst for some of his greatest achievements. David’s failures in his youth prepared him well for his future. Ostracized from his family, David experienced isolation in the fields that gave him the opportunity to develop a deep relationship with Hashem and empathy for his flock—both the sheep that were his companions in his youth, as well as his future flock, Klal Yisrael. The rejection by his family also prepared him well for the loneliness of leadership. Shaul, who had never felt the tension and disappointment of personal failure, was unable to combat the tension and disappointment that he felt from the people, and he succumbed to the pressure. David’s greatness lies not only in his leadership but in his experience with failure. His belief that he could rebound from the low points in life led him to take responsibility for his actions. He did not look to blame when he disappointed himself, God or others, but took personal responsibility. Shaul, with his untarnished record, never having confronted failure in his youth, did not accept responsibility for his actions. He quickly looked to blame others for his poor choices. This led to his ultimate downfall. David’s failures were the keys to his success. It is his imperfections that made him the perfect role model for us to emulate and learn from as we confront our own failures and imperfections. Elisheva Kaminetsky, the principal of Judaic studies and a Tanach teacher at the Stella K. Abraham High School for Girls, has been involved in Jewish education for over twenty-five years. Mrs. Kaminetsky lives with her husband, Rabbi Yisroel Kaminetsky, and children in Woodmere, New York. The secular world’s definition of success is based upon results. I am successful if what I set out to accomplish was actually accomplished. Anything short of that is considered either a failure or a partial failure. The Torah’s definition is entirely different. 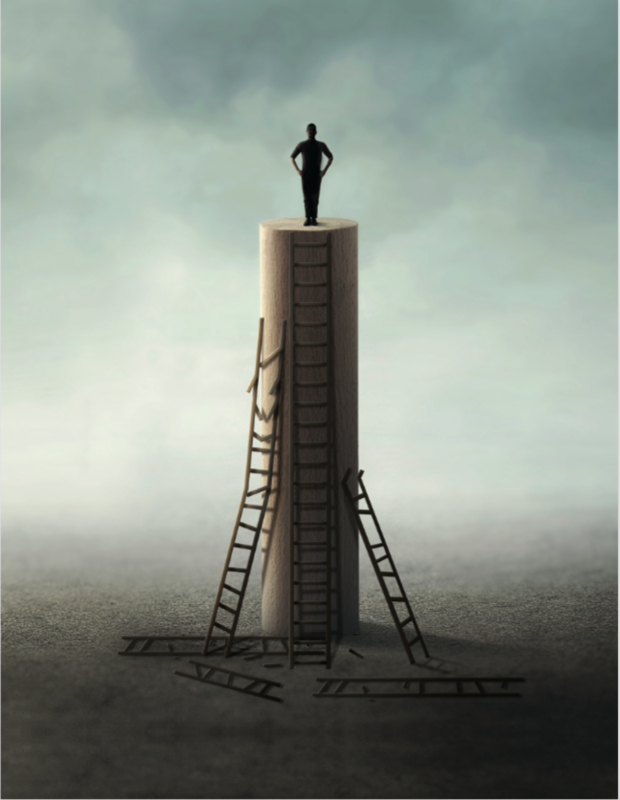 A debate in Maseches Shabbos elucidates the Torah’s view of success and failure. According to halachah, on Chanukah, one must use sufficient oil to light the menorah so that the flames stay lit for the required amount of time. But what happens if one lights the menorah, and a moment later the wind blows out the candles or a child knocks over the candles by accident? Did the individual fulfill the mitzvah? The Gemara concludes that as long as he set up the lights properly, with the intention of fulfilling the mitzvah, he was successful. This ruling applies to all aspects of our lives. There are people who raise a child who ultimately goes off the derech. The parents, dejected and broken, view themselves as having failed. They put all their love and resources into this child and their hopes are crushed. But the Torah view of hatzlachah is that we put in our best effort to do what we are expected to do. How things turn out is Hashem’s domain. We see this with our Avos. Yosef is the only person in the Torah called an “ish matzliach” (a successful man). You might question this. A person with so much promise and potential turned out to be a slave in the house of an Egyptian. Then he was stuck in prison with criminals. Is that success? Yet in Hashem’s view, as well as in Yosef’s view, he was an ish matzliach. Hashem’s name was constantly on Yosef’s lips. Despite his difficulties, he did not succumb emotionally or spiritually. At the end of the day, that’s the measure of success. A person must take responsibility for his life, but he should not wallow in mistakes, self-criticism and misery. I used to view life in a cynical way. I was hard on others as well as on myself. Over the years, I realized there is success in just putting up a noble fight, doing the best that one can do in the moment. I’ve met warriors like Avi, courageous people trying to improve their lives. 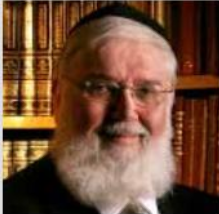 I was also influenced by Rabbi Shlomo Freifeld, zt”l, founder and rosh yeshivah of Sh’or Yoshuv Institute in Far Rockaway, New York, with whom I became very close. During one of my visits to his yeshivah, Rabbi Freifeld told the chevrah to bring out some schnapps and herring; they were going to make a siyum for a young man who had just finished reading his first line of Gemara on his own. Other people would say, “That’s what you’re making a celebration over, a line in the Gemara? 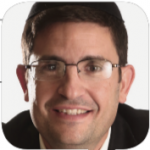 If you finish a whole masechta, that’s a success!” Rabbi Freifeld didn’t view life that way. This individual, who came from a background devoid of any learning, had worked very hard to come to this point in his life. To be able to make a siyum on one line in the Gemara is a success story. Rabbi Moshe Weinberger is mara d’atra of Congregation Aish Kodesh in Woodmere, New York. A person must take responsibility for his life, but he should not wallow in mistakes, self-criticism and misery. Studying the classic mussar sefarim and being brutally honest with oneself is encouraged in the teachings of the Baal Shem Tov. Never is it suggested that one should not make a self-accounting. What Chassidus does oppose is slipping into moods that are self-destructive, allowing oneself to succumb to self-pity and self-loathing. A famous teaching from Rabbi Simcha Bunim of Peshischa is that a person should always carry two notes, one in each pocket. On one piece of paper should be written: “The world was created for me.” And on the other: “I am but dust and ashes.” The key is to know when to pull out which note. It’s all a matter of timing. One must determine what is going to work best to help him come closer to Hashem at each point in his life. The matter of timing also applies to where we are as a people at a given time in history. The mussar approach of the past worked for many people; today, that approach is less effective, especially among youth. There are very few who can recuperate from a fall by kicking themselves. Most people nowadays are much more fragile and brittle. The time to be hard on oneself and to focus primarily on self-improvement is when things are going well. A Jew has to know when to take a more positive approach and when to take a more negative or harsh approach. When one’s Yiddishkeit is thriving, he should focus on the mistakes he has made, on what he still needs to accomplish. By being honest with himself, he can get to the business of fixing what needs to be fixed. On the other hand, when things are not going well and he’s not in a good place, the main thing to focus on is his positive qualities. Only this will bring an individual to have the desire and energy to change. Over the years, I realized there is success in just putting up a noble fight, doing the best that one can do in the moment. Rabbi Gad Eisner, zt”l, a great mashpia in the Gerrer chassidus, had survived many concentration camps. When the war was winding down, knowing the Allies were approaching, the Nazis gathered the remaining Jews in the barracks and told them that they were being relocated to another camp. Wanting to have some fun, they ordered the starved, sickly Jews to run. Anyone who fell was immediately shot. Rabbi Eisner related that after five minutes he felt he could not go on. All around him people were falling. He was about to collapse when, suddenly, he heard a Jew from a few rows behind him yelling, “Loif! Loif! (Don’t stop! Run! )” This gave him the strength to continue and that’s how he survived. As much as we tell ourselves that we have to move forward, we often feel we just can’t. That’s when your life depends on someone who truly cares about you—a rebbe, a family member, a good friend, the person a couple of rows behind you—to urge you to “Loif, loif! Keep on going!” And you find the strength. I would also recommend learning Likutei Maharan 282. Rebbe Nachman teaches one to see himself in a healthy way, to understand the Torah perspective on what it means to be successful. He speaks about seeing the nekudos tovos (the good points) in others and ourselves. Start with that, and then learn To Restore the Soul (Meshivas Nefesh), based on the teachings of Rebbe Nachman and Reb Nosson. Step 7: Let Your Children Fail Too! Josh, Noah, and Max* are grade-schoolers and longtime friends. They spend time together in school and are practically inseparable outside of school. Every Shabbat afternoon, vacation time, and Sunday morning, they hang out playing nerf football in the basement and elaborate inventive games in the yard. Except when they go biking. Then, three become two. Max’s parents are known for their uncompromising rule. Biking is too dangerous and is forbidden to their kids. It is certainly challenging for any parent to determine the line between reckless and responsible. Few of us are entirely rational when deciding for ourselves or our children what is risky and what is not. As such, if Max’s parents are overprotective, we might forgive them. Who is to say what is dangerous and what is not? Skiing, paintball, a driver’s license for teenagers—there is no authoritative playbook, and parents must make their own decisions. Yet, if there is a flaw in Max’s parents’ behavior, it may well be in their approach, as opposed to their conclusion. As parents, we devote great effort and energy to protect our children. Our children are vulnerable and fragile. Without our shielding, they will come to harm. But at some stage, far earlier than we are generally comfortable, there should be a gradual shift from preventing falls, scrapes or stumbles toward building our children’s resolve and resilience and giving them the strength to dust themselves off and get up again. Max has a great chance of making it through this sunny afternoon unscathed. But all the while, he is being weakened and underdeveloped so that when he inevitably finds himself knocked down, he will be hopelessly out of his element. The wisest of all men [King Shlomo] said [Mishlei 24:16], “The tzaddik will fall seven times and will rise.” The unlearned think that this means, “Even though a tzaddik falls seven times, he will rise.” The wise know well that the meaning is: “Because a tzaddik falls seven times, he will rise” (Pachad Yitzchok: Iggerot U’Ketavim, no. 128). While his words resonate, they also point to an inefficiency in our educational process. We teach for success and achievement. We reward accomplishment and the winner. We glorify the victor, and to him or her go the spoils. No one would suggest that we encourage defeat or reward failure. But if we never teach or encourage resilience, from where do we imagine it will emerge? Can we do better in allowing our children to fail? Can we teach and model better coping skills? Should we be so aggressive in protecting our children from rejection? Can we do better with our hero narratives and recounting of personal histories? More than a few superlative boxers have met their downfall because of a “glass chin.” All the biceps and bench presses are for naught if you can’t take a punch. The most important player in the most lucrative of American sports is the football quarterback. Millions of dollars ride on the franchise’s ability to predict his success. Here too, arm strength and physical prowess matter little if he is crushed by pressure and can’t take a hit. His ability to withstand and rise is the ultimate determinant of his achievement. This skill is hard to practice and plan, and difficult to train and teach. But there is no substitute. We all pray that our children should be healthy and strong—physically, emotionally and religiously. However, how we define strength and, consequentially, how we develop it in our children will determine if we are successful or not, or whether we are undermining our well-intended efforts. In our own lives we can identify true strength in times of greatest disappointment. Should we do any less in raising our children? *Though names have been changed, the account is accurate without embellishment. Rabbi Moshe Benovitz is managing director of NCSY and the longtime director of NCSY Summer Kollel. The Sefat Emet writes that we can learn from the order of Creation, in which there was first chaos, confusion and darkness (tohu vavohu), and only afterwards came the light. So it is in the worship of God, as the Zohar states, “Light is only that which emerges from darkness.” Everything contains aspects of hiddenness, and only when one overcomes them is the light revealed. The Midrash states that God created worlds and destroyed them, saying, “These please Me while the others do not please Me.” The same order applies to that which we learn in this world [i.e., we too must create “worlds” only to destroy them]. . . . Likewise, Adam’s sin took place before the completion of Creation, which was on Shabbat, to show us that “there is not a righteous man upon earth who does good and does not sin” (Kohelet 7:20) [i.e., sin is also part of the natural order of Creation] (Imrei Emet, Bereishit). 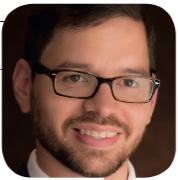 Rabbi Eliyahu Krakowski is associate editor of OU Press. Why is it that of all the sages, Rav Yosef in particular felt this obligation to mark the celebration of Shavuot? Rav Betzalel HaKohen of Vilna offered a poignant explanation: Shavuot commemorates the day on which the first Luchot were given to Moshe; yet these Luchot were shattered when Moshe descended from Har Sinai. Why then do we celebrate Matan Torah on Shavuot, the day when the first Luchot were received? Wouldn’t it make more sense to celebrate Matan Torah on the day the second Luchot were received, which is Yom Kippur? When we teach or write about aspects of the greatness of our gedolim, it is critical that we address not only the final rung of their achievement and their perfect ways, but also the internal struggles that took place within their souls. The impression given by our current discussion of gedolim is that they were created by God in a fully formed state. To give one example, everyone talks about, is inspired by, and raises on a pedestal the Chofetz Chaim’s purity of speech. Does anyone know about the battles, struggles, failures and downfalls the Chofetz Chaim encountered along the path of his war with his evil inclination? . . . The consequence of this deficiency in our educational method is that when a young person who possesses inspiration, aspirations and yearnings finds stumbling blocks, failures and downfalls before him, it seems to him that he is not “planted in God’s house.” Because according to his youthful imagination, to be planted in God’s house means to sit with tranquility beside the pastures of peaceful waters and to enjoy his yetzer tov as the righteous enjoy the radiance of the Shechinah, with their crowns on their heads in the Garden of Eden . . .
Know, however, my dear [Rabbi Hutner was directing this letter to a talmid of his] that the root of your soul is not the tranquility of the yetzer tov but rather the war of the yetzer tov. Your heartfelt letter attests like a hundred witnesses that you are indeed a faithful warrior in the army of the yetzer tov. In English they say, “Lose a battle and win the war” [English in original]. You certainly have stumbled and will stumble again . . . and in some battles you will fall, conquered. But I promise you that after losing all these battles, you will emerge from the war with the crown of victory upon your head . . . “Lose battles but win wars” [English in original]. The wisest of all men said, “A righteous man falls seven times, and rises up again” (Mishlei 24:16). Fools think that this means—even though he falls seven times, he rises again. But the wise know well that it means the nature of the tzaddik’s rise is through his seven falls. Without intelligence, man would be a brute in the field, and progress would be impossible. It is only through intellectual powers that man distinguishes himself as an independent and power­ful being who can free himself from his environment and gain control over it. At the same time, human intelligence is also the source of man’s misery and suffering. Because of his intellect, man realizes his own tragic destiny and the distressful and sorrowful state of being in which he finds himself. . . Prayer is the result of human perennial distress, of man living constantly in the state of tension, of fearing something, of not being secure. We say “You grace man with knowledge and teach mortals understanding.” By so doing, You have raised man to lofty ontological heights; You made him great. However, at the same time, You made man a tragic figure, one involved in a perennial conflict with his environment, with himself, with his future, with death. He is intertwined with something which is beyond and above his control . . .
Every life is a failure for a simple reason: the last battle is always lost by man, and the last battle is for immortality. (When I say immortality, I mean carnal, bodily immortality, without extinction of the biological life.) There are no successful men. If we survey the story of the heroes of our history, the towering personalities, those responsible for the existence of the Knesset Yisrael, God’s messengers and apostles, His prophets, we find that each one of them, despite his greatness, lost the final battle. Abraham lost Ishmael his son. Jacob lost Rachel, and he remembered this loss many years later, even when he was on his death bed: “And I, when I was coming from Padan Aram, Rachel died” (Gen. 48:7). With the death of Rachel, Jacob had to make his exit from the historical arena. After her death, Jacob appears only in the context of the story of another hero, Joseph, and on his deathbed, when he parts from his household and tells them about the future. Moses was engaged in a battle to enter the Land of Israel, and he lost. It was almost a petty request, but it meant everything to Moses, and it was denied to him and he lost. And so forth and so on. This is the destiny of man: to lose and to fail. It only depends how one fails and what one loses. This is exactly what we mean when we say “honeinu me’itkha de’ah binah vehaskel.” Despite the fact that knowledge and intelligence are responsible for our failures, for our misery, for our sorrow; because we are intelligent, because we understand; because we can think of the future and reminisce about the past; because there is sometimes a feeling of consuming nostalgia in a person who has wasted so many opportunities and sees in retrospect; despite it all, this is no reason to pray that our intelligence should be at a lower grade. We want as much knowledge as possible, as much intelligence as He sees fit to bestow upon us, as much understanding and discernment and insight into the future as He feels we are qualified for. Yes, our tragic role will be proportionate to the amount of knowledge we possess, but we are ready to accept the burden. That’s what a Jew says in “Ata honen le’adam daat.” We are ready, in spite of everything, to accept the burden and to carry it. Excerpted from Blessings and Thanksgiving: Reflections on the Siddur and Synagogue [New York and Jerusalem, 2019], 87-88. 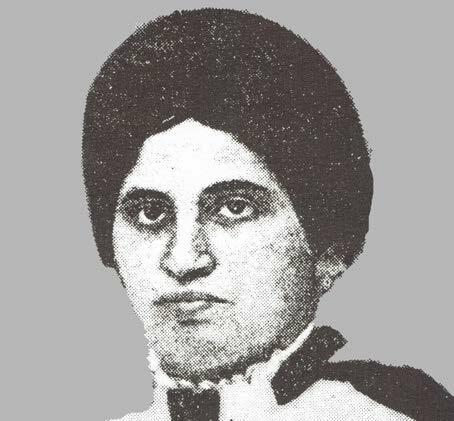 Sarah Schenirer’s original idea wasn’t to create a formal school for young Jewish women. It was to create a youth society, similar to those of the secular ideological movements (Socialism, Communism, Zionism, et cetera) that were so popular with Jewish youth at the time. Excited to launch her movement, she convened a group of teenage girls in 1915. And she failed. The girls mocked her and left her speech sneering. Schenirer could have quit, but she didn’t. “Who cares about doubts? Who cares about obstacles? Who cares if many laugh and ridicule my plan?” she wrote. “What role does my personal pride play here? If the intent is sincere and the aim is pure, my goal will certainly be achieved.” She endured a number of failures before she switched her focus from working with teens to starting a school for young girls in 1917. Though Sarah Schenirer faced personal troubles, disappointment, ridicule and opposition, far from letting adversity and failure stop her, she used it to motivate herself to work harder. She persevered, and the entire Jewish world is richer for her efforts. 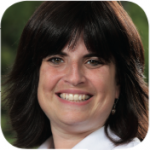 Leslie Ginsparg Klein, PhD, is the academic dean of Women’s Institute of Torah Seminary/Maalot Baltimore. She is also the co-author, with Ann Koffsky, of Sarah Builds a School (New York, 2018), a children’s book on the life of Sarah Schenirer. The rabbi, artist and author who revolutionized the world of English-language Torah literature was no stranger to adversity. While the young Meir Zlotowitz knew what he wanted to say, expressing himself was difficult because he stuttered. Art became an avenue for self-expression. Few people outside of his adult circle of influence knew about his dysfluency because he worked hard to grow past it. His first marriage ended in 1971, a time when divorce in the Orthodox community was not common. He had custody of the three children, who required his time and attention, as did his fledgling business into which he was trying to breathe life. When Rabbi Zlotowitz was in the depths of despair on all fronts of his life, he sought the advice of his rav, Rabbi Moshe Feinstein, zt”l. 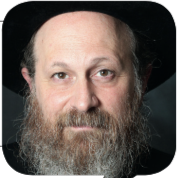 Reb Moshe listened, counseled him and said, “Meir, your children will be bnei Torah and their children will be bnei Torah.” Strengthened by this blessing, Rabbi Zlotowitz forged ahead. He remarried in 1972 and had five more children. But the business was floundering and in the early years, he had nearly constant financial worries. More than once, he had to borrow funds to meet the ArtScroll payroll. Even after ArtScroll became a household name, the company was not immune to fiscal challenges. In 2008, during the economic crisis, a few ArtScroll donors were forced to pull back on their financial commitments. Yet Rabbi Zlotowitz remained committed to maintaining a rigorous publishing schedule for books of Jewish learning with exacting standards. 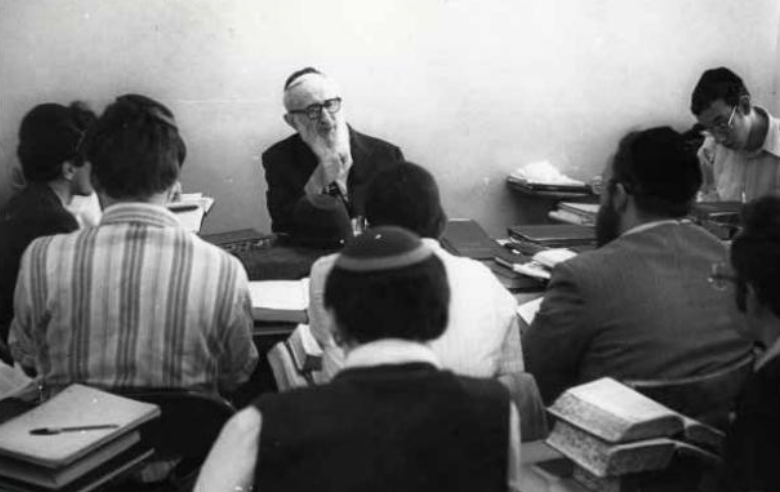 Rabbi Meir Zlotowitz ultimately transformed the landscape of Orthodox Jewish learning and life. Yet his journey began with transforming himself—neither letting obstacles obscure his vision, nor letting failures prevent him from moving forward. The Jewish world is immensely better off as a result. 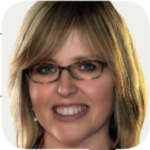 Leah Lightman is a writer living in Lawrence, NY with her husband and family. This article was featured in Jewish Action Spring 2019. ©2019 Orthodox Union. All Rights Reserved.